Let’s start the blog with one impressively damaged journal bearing! We received a full train of bearings from a turbine that experienced a catastrophic event (duh!). It appears the oil inlet holes ruptured in the event. 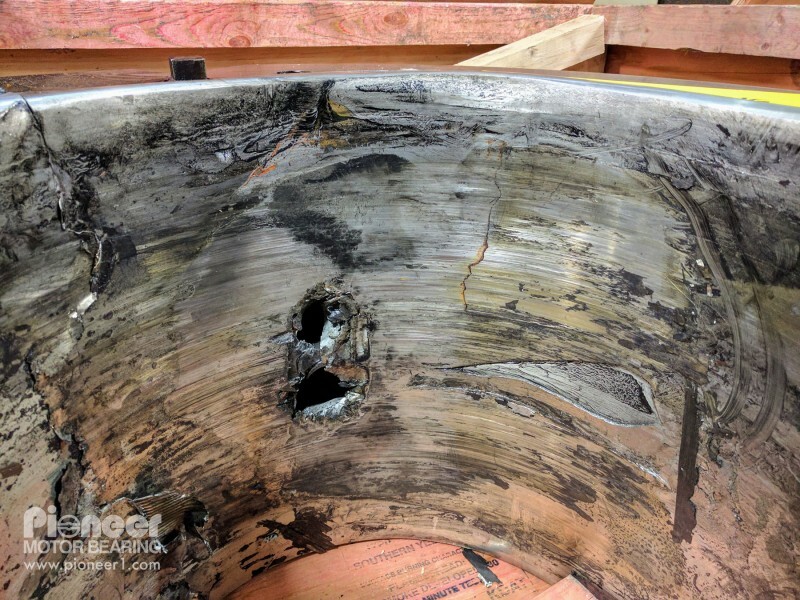 The most impressive aspect of this damaged bearing is that this is the top half of the bearing that usually carries no load! With such extensive damage, it’s not a surprise the customer trusted Pioneer to repair this babbitt bearing.